At the age of 2, your little one can already stand up on their own, walk, run and even jump, and because of that, I would like to personally welcome you to the life of a toddler parent! It may not be easy, but it’s well-worth everything. This is the time that you’ll start running after your little dynamo, the stage in their life where they love going on piggy-back rides so brace yourself! All those walking, running and jumping activities are part of every child’s gross motor skills. Most often than not, these little tykes will be able to learn and develop these skills on their own. What you should concentrate more on at this stage is exerting a bit more effort in helping them develop their fine motor skills. Don’t be confused between the two. As mentioned earlier, gross motor skills involve actions that utilize those larger muscle groups and require minimal precision. These activities are running, jumping, kicking and throwing balls. Fine motor skills, on the other hand, is achieved when your toddler starts to learn how to use their smaller muscle groups, such as those in the fingers, wrists, and hands. These fine motor skills are used when holding smaller items, writing, eating, and even buttoning and unbuttoning their shirts. Unlike gross motor skills, your child’s fine motor skills require coordination and precision. For you to help your child develop their fine motor skills, listed below are 7 ways that you can practice. Take note though, that there are many other activities you can do, but these are the simplest, most entertaining and most effective ways to help them practice their hand coordination and precision. During this stage, you’ll be needing a lot of materials so make sure you’re prepared! Get some crayons, play-doh, strings, beads. Think of activities that will allow them to practice their precision with their hand movements. Every once in a while, it is best that you let your children think of their own little “art project”. Give them a theme and let them do whatever they wanted to do with it. Let their imagination run loose. You might be surprised with what your little tyke can come up with! 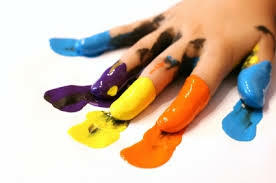 Finger painting, as fun as it sounds, makes a perfect activity. It allows your child to practice hand and eye coordination. It’s time to take out those building blocks and let them stack them up, and knock them down. It’s part of what toddlers do, and let them enjoy these architectural pursuits. 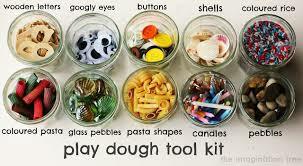 Let your child enjoy this activity by allowing them to experiment with different blocks, colors, shapes, and sizes. Toddlers are obsessed with putting things on, then taking them immediately afterwards. Since they enjoy doing this, why not let them practice buttoning and unbuttoning their shirt? The first few attempts may not be successful, but make sure that you’re there with your child and give them the support they need until they have mastered this skill. During this stage, children love feeling things. This is probably why they love playing with the sand, or even clay-dohs. Let your child play with these – allow them to pinch these toys, and even create different shapes out of these. This activity lets your child practice finger and hand movement, which is necessarily needed in terms of the development of their fine motor skills. Toddlers just love it when they start emptying their toy basket – and it’s fine! Don’t stop them from doing so, but teach them to pick them up and put them back in the container. This allows your child to practice eye and hand movement. Developing their fine motor skills doesn’t have to be a daunting task. You can incorporate fun activities while doing this, making it easier for you, and less boring for your little ones. We hope you enjoyed these 7 steps to improve your child’s Motor Skills . Please leave a comment telling us if you have any more ideas and be sure to give us a like. Thanks.